GIGABYTE expands its GeForce RTX 20 Series line-up with the new XTREME WATERFORCE WB Edition graphics cards of the NVIDIA GeForce RTX 2080 Ti and RTX 2080 and an XTREME WATERFORCE edition RTX 2080. 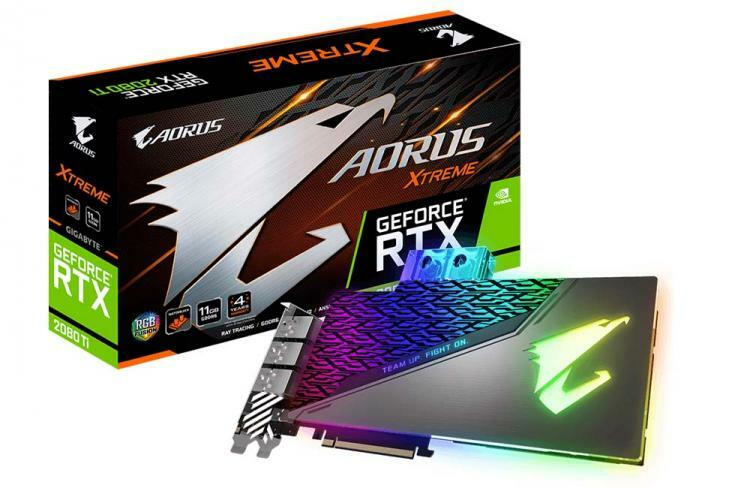 The AORUS GeForce RTX 2080 Ti XTREME WATERFORCE WB 11G and AORUS GeForce RTX 2080 XTREME WATERFORCE WB 8G graphics cards feature a full-cover waterblock that delivers direct cooling to the GPU, VRAM and MOSFET and can be easily added into a custom liquid cooling system with its standard G1/4” threads. The AORUS GeForce RTX 2080 XTREME WATERFORCE 8G, on the other hand, features a closed-loop liquid cooler with a 240mm radiator complete with RGB cooling fans. The XTREME WATERFORCE WB and XTREME WATERFORCE cards support up to four displays simultaneously having seven video outputs on its rear I/O along with customisable RGB lighting powered by GIGABYTE RGB Fusion. 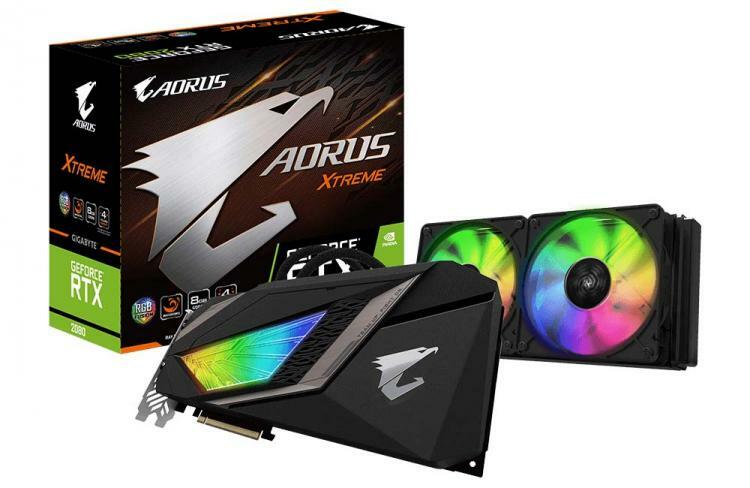 The AORUS XTREME WATERFORCE WB Edition graphics cards are built for extreme overclocking with its superior cooling engine powered by the WATERFORCE water block. The RTX 2080 Ti XTREME WATERFORCE WB 11G uses a 16+3 power phase design with a factory-overclocked core clock of 1770MHz, 225MHz higher than the reference edition card. On the other hand, the AORUS RTX 2080 XTREME WATERFORCE WB 8G uses a 12+2 power phase design with a maximum core clock of 1890MHz, 180MHz higher than the reference design. Both graphics cards sport a USB Type-C port that supports VirtualLink to power VR headsets. Both graphics cards are covered with a 4-year limited warranty. The RTX 2080 XTREME WATERFORCE 8G features the WATERFORCE all-in-one liquid cooling system which is a maintenance-free closed-loop liquid cooler with a 240mm radiator. Like the XTREME WATERFORCE WB edition, it also features 12+2 power phases for extreme overclocking with a factory-overclocked core clock of 1890MHz. The card is also covered with a 4-year limited warranty.